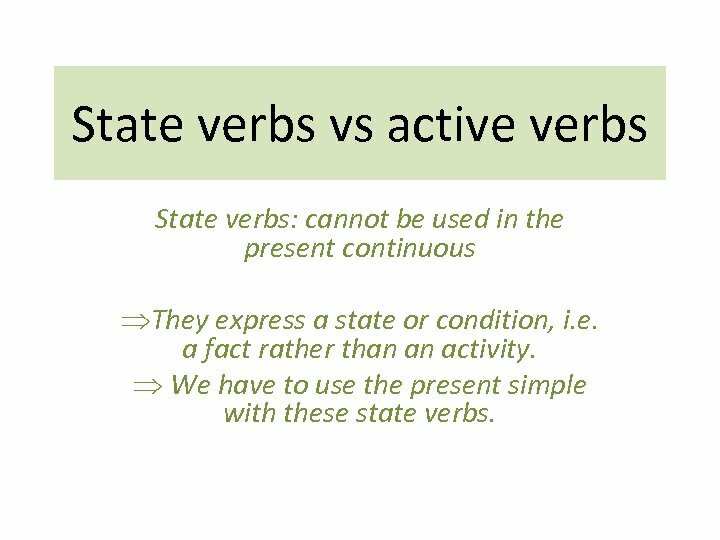 State verbs vs active verbs State verbs: cannot be used in the present continuous ÞThey express a state or condition, i. e. a fact rather than an activity. 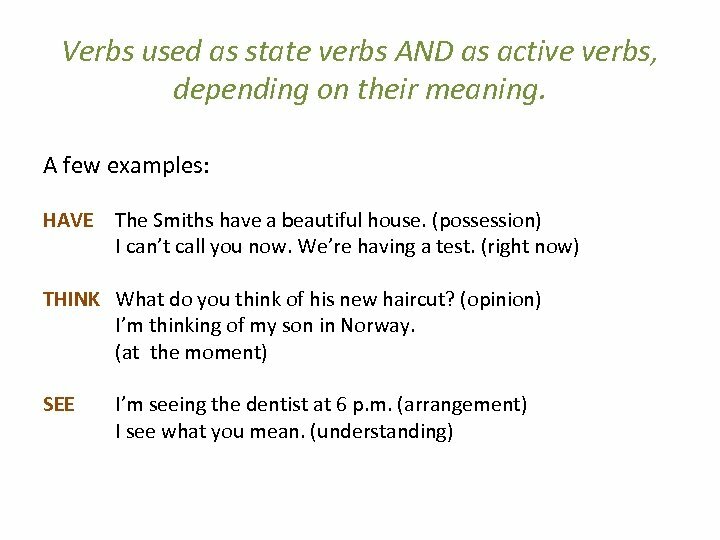 Þ We have to use the present simple with these state verbs. 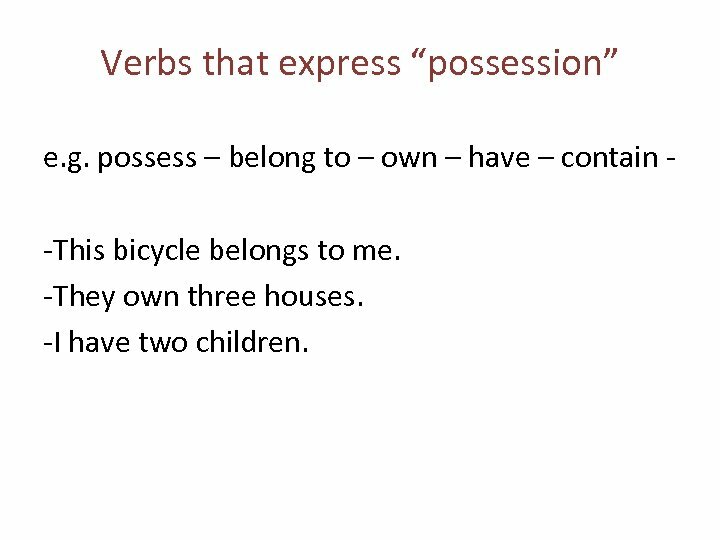 Verbs that express “possession” e. g. possess – belong to – own – have – contain -This bicycle belongs to me. -They own three houses. -I have two children. 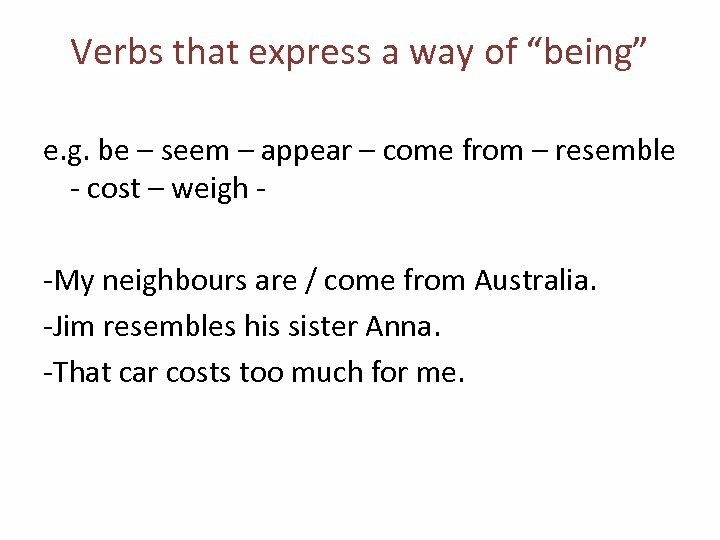 Verbs that express a way of “being” e. g. be – seem – appear – come from – resemble - cost – weigh -My neighbours are / come from Australia. -Jim resembles his sister Anna. -That car costs too much for me. 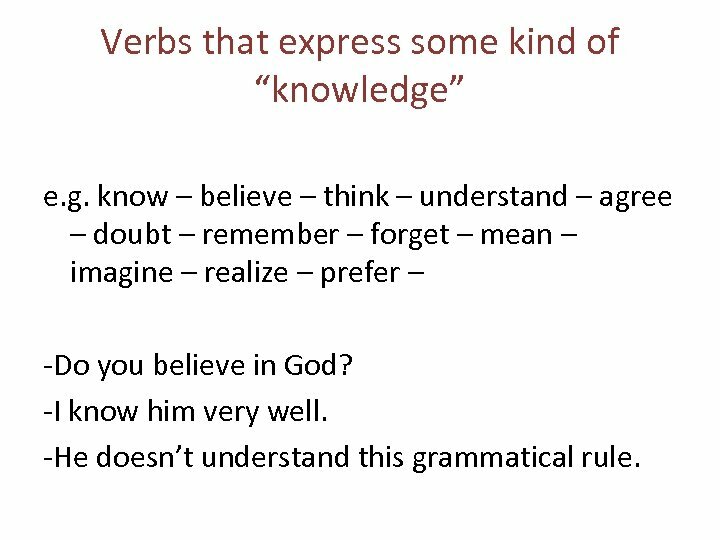 Verbs that express some kind of “knowledge” e. g. know – believe – think – understand – agree – doubt – remember – forget – mean – imagine – realize – prefer – -Do you believe in God? -I know him very well. 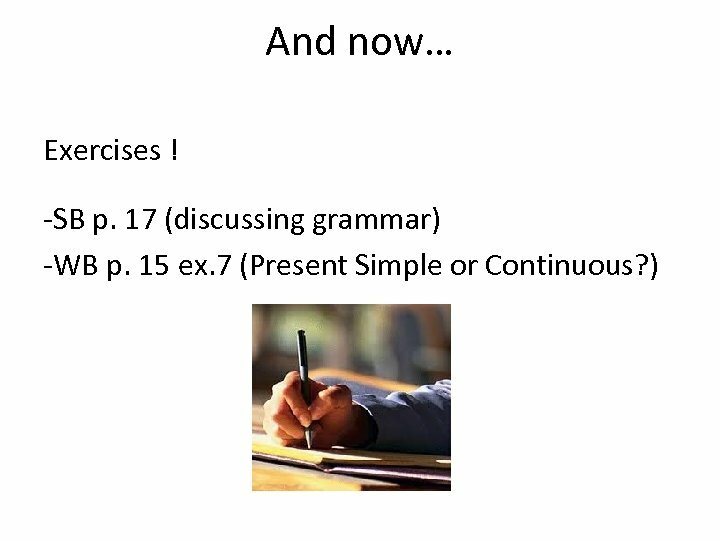 -He doesn’t understand this grammatical rule. 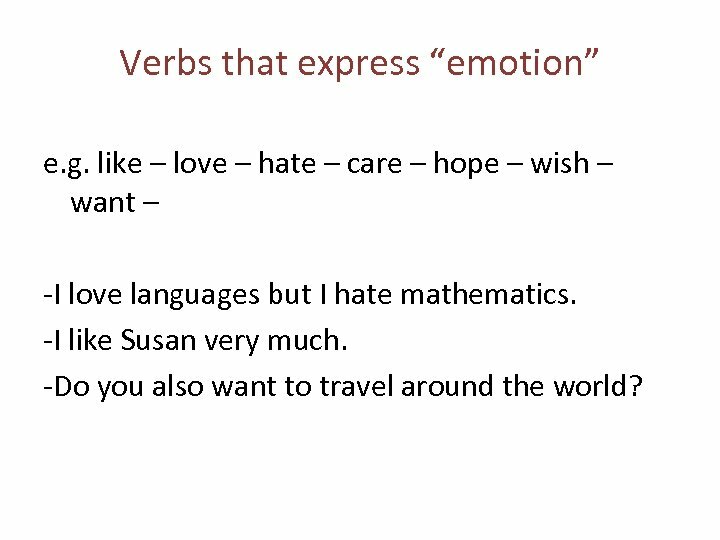 Verbs that express “emotion” e. g. like – love – hate – care – hope – wish – want – -I love languages but I hate mathematics. -I like Susan very much. -Do you also want to travel around the world? 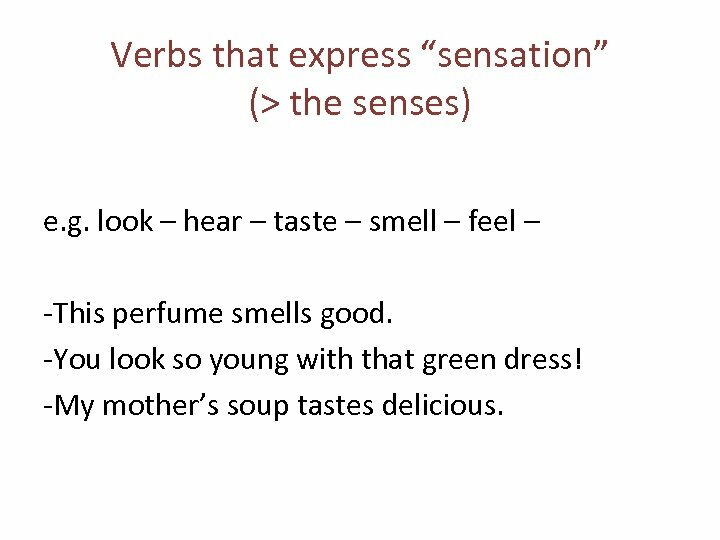 Verbs that express “sensation” (> the senses) e. g. look – hear – taste – smell – feel – -This perfume smells good. -You look so young with that green dress! -My mother’s soup tastes delicious.